The Curran Fellowships are a set of travel and research grants intended to aid scholars studying 19th-century British magazines and newspapers in making use of primary print and archival sources. Made possible through the generosity of the late Eileen Curran, Professor Emerita of English, Colby College, and inspired by her pioneering research on Victorian periodicals, the Fellowships are awarded annually. 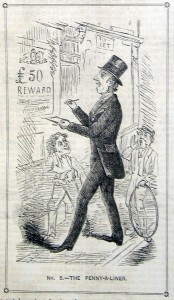 The Curran Fellowships are open to researchers of any age from any of a wide range of disciplinary perspectives who are exploring the 19th-century British periodical press (including magazines, newspapers, and serial publications of all kinds) as an object of study in its own right, and not only as a source of material for other historical topics. 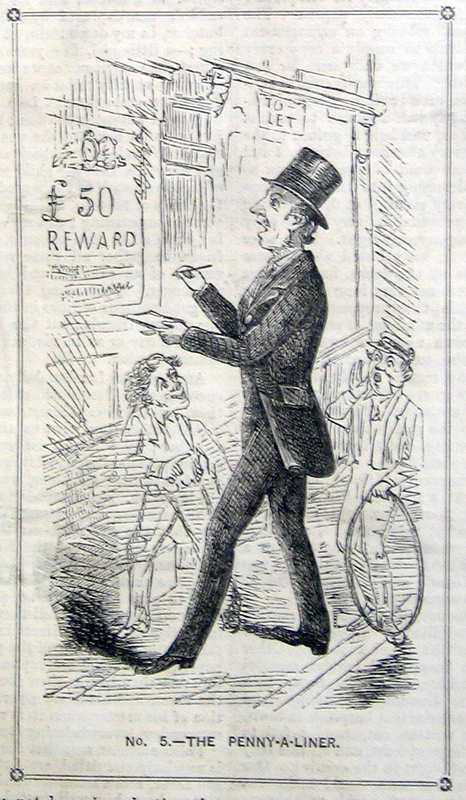 Applicants’ projected research may involve study of any aspects of the periodical press in any of its manifold forms, and may range from within Britain itself to the many countries, within and outside of the Empire, where British magazines and newspapers were bought, sold, and read during “the long nineteenth century” (ca. 1780-1914). Application guidelines for 2020 have not yet been posted. Below are the previous year’s guidelines as an example. Deadline: December 1, 2018, for awards beginning in 2019. The Curran Fellowships are research and travel awards intended to support the use of primary sources for the exploration of any aspects of the British periodical press in any of its manifold forms, forms that may range from within Britain itself to the many countries, within and outside of the Empire, where British magazines and newspapers circulated during the “long nineteenth century” (ca. 1780-1914). The Research Society for Victorian Periodicals (RSVP) anticipates making at least six Curran Fellowship awards for research to be undertaken in 2019. Applicants may request any amount of support up to $5000; the Curran Fellowships Committee may choose partial funding of successful applications. The Curran Fellowships are intended to provide a researcher with funds to cover only those expenses directly related to research, such as transportation, lodging, photocopies, scanning, database subscriptions, and the like. Indirect expenses are not covered. The fellowship is named for the late Eileen M. Curran (1928-2013), Professor Emerita of English at Colby College in Waterville, Maine. She taught English at Colby from 1958 to 1992, and was a pioneer of periodicals research, serving as associate editor of the Wellesley Index to Victorian Periodicals, Vols. 1-3. A founding member of RSVP, Professor Curran established the Curran Fellowships in 2009, and bequeathed funds to RSVP for their continuance and expansion. Her vision of the importance of basic research, compellingly presented, animates her namesake competition. The Curran Fellowships are intended to support primary research on the nineteenth-century periodical press: magazines, newspapers, and serial publications of all kinds. Therefore, eligible projects must engage with primary sources, whether those sources appear in print, manuscript, or digital facsimile. All else being equal, preference will be given to projects that use or bring to light new or little-known materials about the periodical press. Only one application may be submitted by an individual per deadline. The fellowship research must begin during the 2019 calendar year. Those holding academic appointments as well as graduate students and independent or retired scholars are equally welcome to apply. An academic degree or affiliation is not required. Applicants may hold grants or fellowships from other organizations concurrent with a Curran Fellowship. However, a Curran Fellowship winner may not hold other RSVP awards in the same calendar year. All applications must be submitted through the online application portal at https://rs4vp.fluidreview.com/ not later than 11:59 p.m. your local time on December 1, 2018. The application portal will open on November 3, 2018, at which time applicants may create an account and begin preparing and submitting their proposals. At the application portal you may start your application and finish submitting it at a later date. As a courtesy to evaluators, RSVP strongly recommends that applicants prepare their proposals using a readable font, not smaller than 11 point, with margins of at least one inch. Documents may be single spaced. 2. A c.v. not to exceed two single-spaced pages, uploaded in PDF, .docx, or RTF format. This document should include current and past employment; education; recent publications, awards, and honors; and other information relevant to the review of the proposed project. 3. A narrative proposal not to exceed three single-spaced pages, uploaded in PDF, .docx, or RTF format. This document must explain the nature and background of your project, the specific research you intend to do with the support of the Curran funds, the time frame for conducting that research, and how the Curran-enabled research contributes to the goals of the larger project. Be sure to explain how your research will help to advance scholarly understanding of the 19th-century British periodical press more generally. This last is very important. The Curran Fellowships are not intended to support historical or literary research that merely makes some use of Victorian newspapers and magazines as sources, but, rather, to support research that tells us something new about the nature of those publications, their role in the 19th-century literary marketplace, and the people who wrote, illustrated, edited, published, sold, bought, and read them. 4. A one-page description of the printed and manuscript materials you want to explore, and why, uploaded in PDF, .docx, or RTF format.. Be as specific as you can. For example, if you propose looking at runs of certain periodicals, give specific titles and date-spans for them; likewise, if you want to work in a publisher’s or author’s archive, indicate what kinds of documents there you intend to inspect. Make sure that all the materials you mention will in fact be available to you at the time of your proposed visit. Make sure that the materials you are proposing to travel to see are not already available to you in microfilm or digital form, or in a repository closer to home. Any archives that you plan to visit with Curran Fellowship assistance need not necessarily be in the UK, as many libraries in other parts of the world have important collections that are of interest to students of Victorian periodicals. If you need to travel to another institution to use an electronic database not available to you locally, or to subscribe to such a resource, please mention that, as well. 5. The name and email address of one recommender familiar with the proposed project. The recommender will receive an email with a link to upload a recommendation letter directly into the application system. Recommendation letters are due by December 15, 2018. Applicants are responsible for soliciting the letter of recommendation from someone familiar with their project. The letters should address the evaluation criteria below. While the absence of a letter of recommendation from an application will not make it ineligible, a letter that arrives late (or not at all) may make an application less competitive. A group of interdisciplinary evaluators with knowledge of periodicals in the long nineteenth century will use the following criteria to evaluate applications. Applications and letters of recommendation should be crafted with these criteria in mind. The importance of the project, including its use of materials relevant to deeper understanding of the British periodical press in the nineteenth-century. The applicant’s preparation to pursue the project. The feasibility of the plan of work and the likelihood that the applicant will be bring the entire project to a successful completion in due course. Evaluators will use the evaluation criteria to identify the best applications. Final decisions and award amounts (up to $5,000) will be based on the overall budget of the program, an applicant’s specific requested amount, and the justification of that amount as put forward in the plan of work. RSVP anticipates naming at least six winners at the end of the competition. Notification will take place by email not later than February 15, 2019. The winner will have until March 1, 2019 to accept or decline the award. All decisions are final. Unsuccessful applicants may choose to revise and resubmit their applications in future competitions. Awards are made directly to individuals but may be paid, upon instruction from an awardee, through the awardee’s employing institution. Indirect costs are not permitted. Click on the highlighted names to read reports about the progress of research projects undertaken with Curran Fellowship funds. These reports give a fascinating look at some of the exciting developments in the field today. 2017: Susan Cahill (Concordia Univ. ), Deborah Canavan, (Greenwich U), Anna Gielas, (U. of St. Andrews), Helena Goodwyn, (U. of London), Deborah Logan, (Western Kentucky U. ), Lauren Miskin, (Southern Methodist U. ), James Mussell, (U. of Leeds), Mark Neuendorf, (U. of Adelaide), Teja Pusapati, (Independent), Johanna Seibert, (Johannes Gutenberg U. ), Thomas Smits, (Radboud U. ), Clare Stainthorp, (U. of Birmingham). 2011: Priti Joshi (University of Puget Sound, USA) and Jennifer Tucker (Wesleyan University, USA). 2010: Clare Horrocks (Liverpool John Moores, UK) and Michelle Tusan (University of Nevada, Las Vegas, USA). 2009: Liz Miller (University of California at Davis, USA) and Sydney J. Shep (Victoria University of Wellington, New Zealand). Although RSVP membership is not required in order to apply for a Curran Fellowship, researchers in this field will naturally want to join RSVP if they have not already done so. Information on joining RSVP can be found here: http://rs4vp.org/join/ Joining RSVP supports the Society in its support of our field, and the people who work in it.